I’ve talked about Carolina Cup before HERE and HERE, the annual horse race that heralds in the spring season with tailgating, horse races, hats and lots of pastels. What I have not talked about before is that there is a similar event that happens every fall: Colonial Cup. And while the spring event is much more about the party than the horses, the fall event is the opposite and is ALL about the races. I went last year for the first time and it was an impromptu family reunion with my Grandmother, Aunt and Uncle all being there. 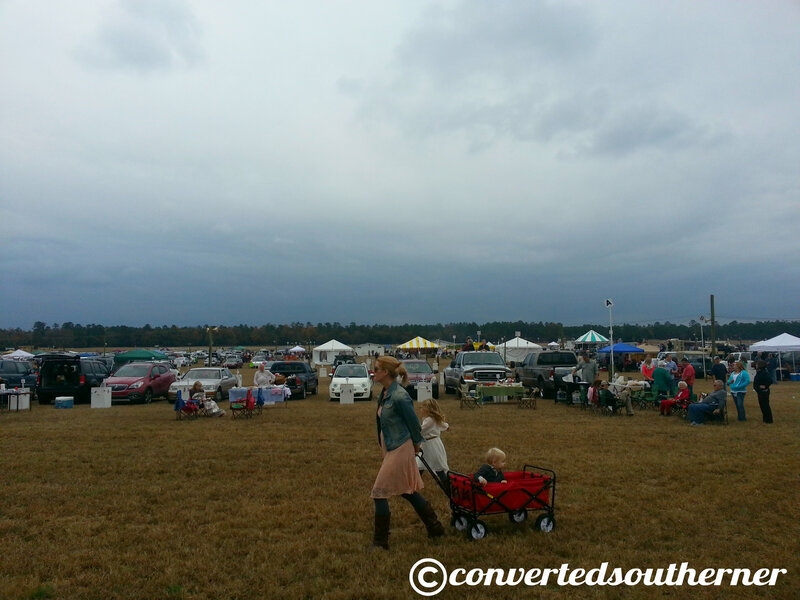 It is held at the Springdale Race Course in quaint Camden, SC. Similar to the Carolina Cup in the spring… you never know what the weather will be like! 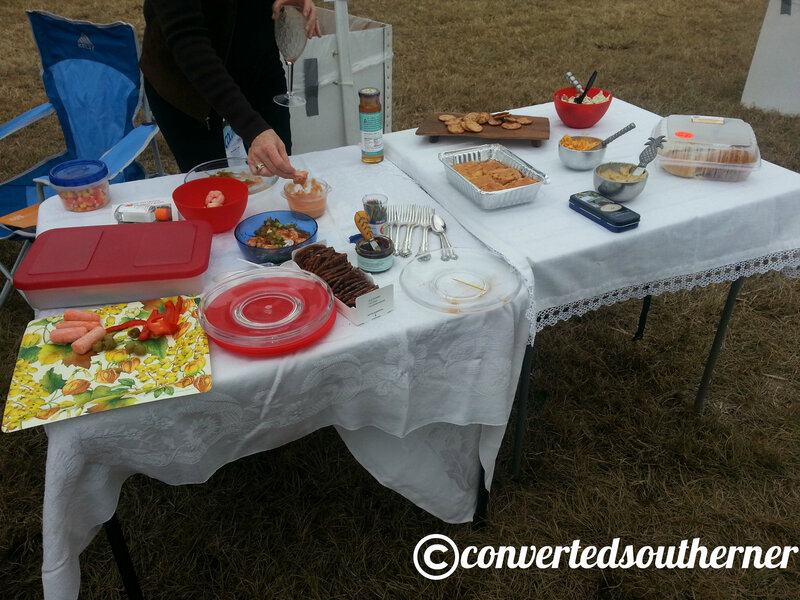 This experience had me huddled under blankets at our tailgate! It is different than the spring event in it is NOT pastel sea of women and men in Lily and bow ties, respectively. It is still a nice tailgate setup… with real table cloths and plenty of people busting out the silver. It is also not as college packed as the spring event. There were a lot more families with cute little kids. Plus, it is fall, so lots of cute scarfs. If I have not mentioned it yet…. I have a slight obsession with scarves and pretty much wear them every day from mid-September to mid-May if I can get away with it! Oh, and the best part of the Colonial Cup…. terrier races. Seriously. Terrier Dog races. Can’t this stuff up folks. Gotta love the South! A handful of pictures and video are below! 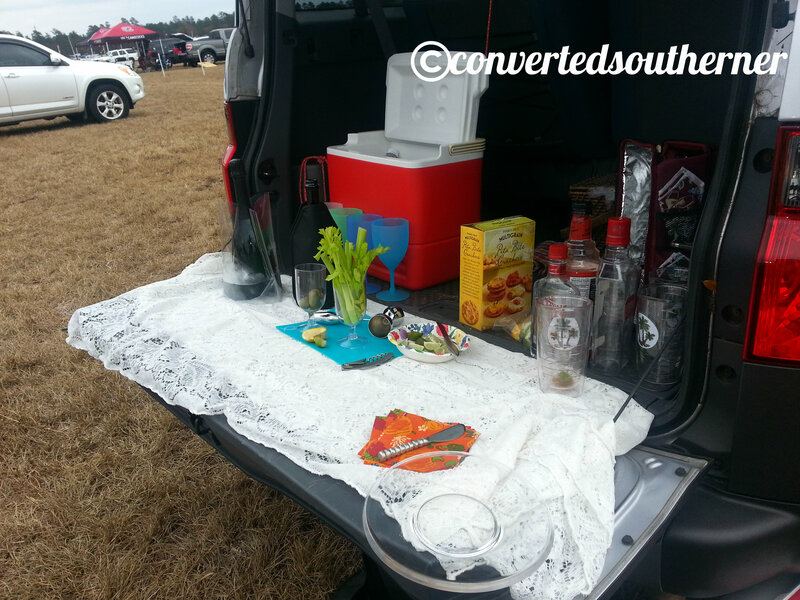 Above: The first part of our tailgate spread… complete with lace tablecloth on the actual tailgate. Not going to lie… looking at that shrimp is making me hungry ad I type.